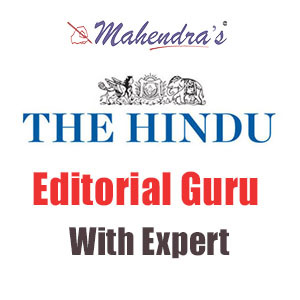 We are again back with a new version of your very own show "The Hindu: Editorial Guru With Expert". Now, this session will provide you with important vocabulary words and static GA facts, important for your exams. This session will be very beneficial for you all and will prepare you for both the sections English and GA. So, join this show daily at 8.00 am to grasp all the important facts for your competitive exams.